Have you ever thought about rounding up three of your friends, forming a cycling team and taking on the world’s best at their own game? 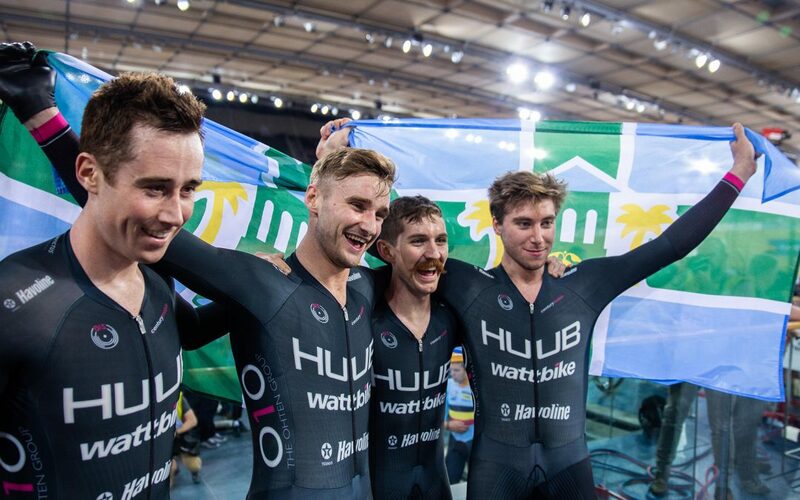 That’s exactly what Team HUUB Wattbike (formerly Team KGF) did two years ago and we got the chance to sit down with the team at their base in Derby, UK, to tell their incredible story. Started by aerodynamics and engineering graduate, Dan Bigham, the foursome used a combination of cutting-edge technology, innovative tactics and maxed-out credit cards to propel themselves from rank outsiders to one of the best track teams in the world. Initially known as ‘Team KGF’ thanks to support from a local charity, the team took the track cycling world by surprise with an unexpected win at the British National Track Championships in 2017 before taking two World Cup golds in the 18 months that followed. They’ve now got their sights set on setting a new team pursuit world record. What would have been unthinkable just two years ago has now become a real possibility for the boys from Derby.